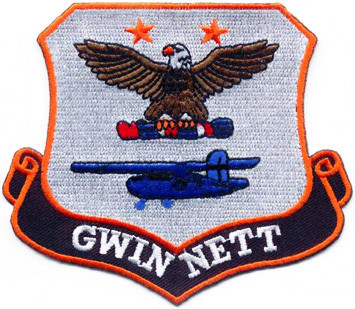 The Squadron Commander, Maj Jim Weed of the Gwinnett County Composite Squadron of Georgia Wing said they were “very busy” and by inference simply did not have time to be inspected. This resulted in them being suspended until the inspection was completed. The idea that this squadron had the authority to tell their superiors what, when and if they would comply with regulations was noted throughout the inspection. As to the CAP inspection itself, the CAP inspectors were given a tour of the facilities and introduced to squadron representatives. A couple of the squadron representatives were openly antagonistic to the inspection team, but this was the exception and the rest of the squadron CAP Officers was cooperative, forthcoming and professional. The picture that has formed, paints a disturbing picture of a squadron that is out of control and devoid of leadership at every level. The squadron as a whole has a swagger that indicates they are the best at everything and are above reproach on any matter. The truth though is completely different from their perceived and self-assessed beliefs. The only thing this Squadron is missing is leadership. Excepting the Chaplain program, no squadron department head is achieving their potential and the Squadron Commander is neither demanding it nor making any effort himself. Internally there appears to be friction between the cadet program and the senior program; though the Squadron Commander, Maj Weed and the Deputy Squadron Commander, Lt Col Deb Schmid appear to have a close personal relationship, this building essentially houses two separate squadrons. Cadets appear to be discouraged from training or participating in the ES program. Inquiry and first-hand experience shows that when this squadron chooses not to comply with a superior command-office request, they simply ignore it and if that doesn’t work then they will be difficult to work with and usually the superior will go away. Inquiry further supports that Group 2 HQ was aware of problems at this squadron and took no steps to correct them; inquiry also shows that Georgia Wing HQ were aware of these problems and manner of conduct also, but took no steps to correct this behavior or demand the squadron comply with regulations. A strong argument could be made to show that both Group and Wing HQ have fostered this conduct. Leadership at every level has failed this squadron. Maj Jim Weed has been in position for just over four years. The unit appears active and viable, however, there is evidence that the unit chooses to operate by its own rules and does not take measures within the control of the Commander to fully comply with the spirit and intent of the national Civil Air Patrol corporation. The Commander continually failed to comply with a corporate requirement to be inspected and it was not until the unit was suspended from all activities by the Group 2 Commander until the inspection was completed that an inspection date was determined. Only 81 of 162 members were current in safety education requirements at the time of the inspection. At least two senior members who were not current in safety education were present at the inspection. The Commander failed to require members to comply with Department of Defense, U.S. Air Force and CAP policies regarding Equal Opportunity training in violation of CAPR 36-1 paragraph 5.e. Seventeen of 63 members have not completed such training. According to the Commander, there are “no real meetings” of the finance committee and the Commander admitted that he had been the primary Finance Officer from some time and is in violation of CAPR 173-1 paragraph 8. The commander still maintains an appointment as the Assistant Finance Officer. Maj Jim Weed failed to exercise proper oversight of corporate communications equipment assigned to the squadron by not having all property available for inspection and by not having all communications equipment accounted for in ORMS in violation of CAPT 174-1 paragraph 2-19. Numerous items of communications equipment identified in ORMS were missing. The Squadron has an extensive amount of radio equipment assigned to it—far more than almost all units in the Wing, however, this equipment is not being properly accounted for according to CAP regulations. Numerous items listed in ORMS could not be visually inspected as the unit failed to have them available. Of significant concern were personal items posted on the communications bulletin board with annotations disrespectful of the President of the United States. These were bank checks made out to the Unit Communications Officer. The Commander failed to ensure all members conduct themselves in accordance with CAP policy. Personal items were posted on the bulletin board in the communications room that reflected disrespect toward the President of the United States, Barack Obama. Such disrespect violates U.S. Air Force regulations and such is inherent in the Official Auxiliary of the Air Force. Permitting this open disrespect is in violation of CAPR 39-2 paragraph 1-4 and the second paragraph of the CAP Oath of Membership. In spite of all of this, the Gwinnett County Composite Squadron, SER-GA-112 won the National Squadron of the Year Award as well as the National Squadron Commander of the Year Award. Be the first to comment on "Georgia Wing Unit Disrespects President"